Over £¾ million of recent investment has ensured that we have the most accurate and versatile CNC camshaft grinding facility in Europe. We are the only UK manufacturer grinding camshafts on bespoke CNC machines, designed solely for high performance cam lobe grinding. We have invested in dedicated cam lobe technology rather than CNC orbital grinders with cam lobe adaptability or reconditioned end of life production machines, securing our position as the manufacturer offering the most accurate cam grinding available. Our cam profile designers currently use various methods of curve creation including the latest Concept Valve Train software licensed from Lotus Engineering. This enables us to quickly analyse potential vulnerabilities within existing valve train/cam profile and thereby solve potential reliability issues. We also offer a profile design service to suit your specific valve motion requirements or engine requirements, creating an optimum cam curve whilst considering velocity, acceleration and jerk as well as displacement and period limitations. On chill-cast iron components we apply a phosphate coating as an undercoat for oil. Oil runs off highly polished components. Phosphate absorbs and retains oil, which has obvious benefits when running in new components. The black phosphate coating is used as a surface treatment to aid running-in on cam followers and does not need removing prior to installation. Super finishing improves surface finish by removing a thin amorphous surface layer, usually about 1μm in magnitude. It reduces wear and eliminates a running in period. 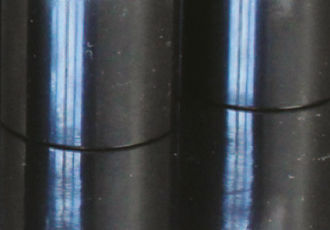 Diamond-like carbon (DLC) coating is a material that displays some of the typical properties of diamond. DLC is applied as a coating to engine components that benefit from increased wear resistance and a reduction in frictional losses. 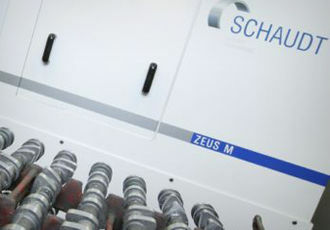 Our commitment to accurate grinding has led us to be the only manufacturer to pursue constant surface speed grinding. Complex calculations within our CNC software and high accuracy spindles vary the speed of the camshaft during each rotation in the grinding process. This means that the work piece to grinding wheel contact speed remains constant. This ensures the surface structure integrity of every lobe has not been compromised by changes in the grinding speed that are inherent in modern high acceleration cam profiles.